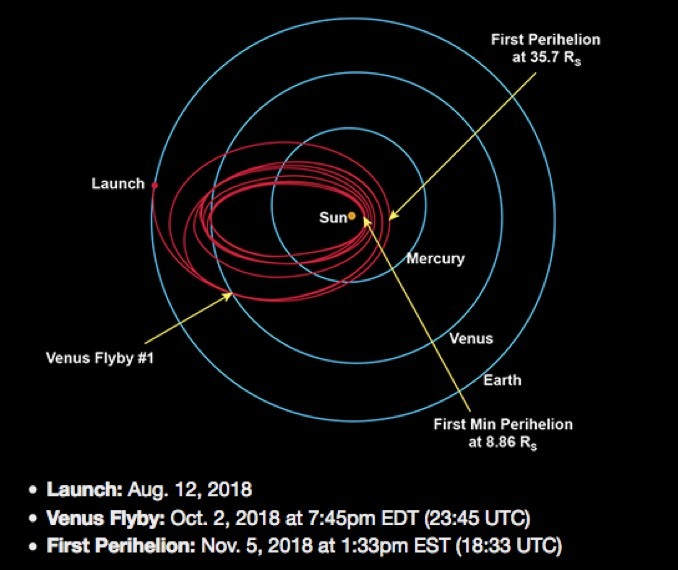 NASA’s $1.5 billion Parker Solar Probe was blasted into space 12 August by a United Launch Alliance Delta 4 Heavy rocket that put the spacecraft onto a trajectory that will carry it past Venus on 2 October and then within 24 million kilometres (15 million miles) of the Sun on 5 November, the first of 24 close encounters that eventually will carry the probe within 6.1 million kilometres (3.8 million miles) of the star’s visible surface. The repeated passes through the Sun’s outer atmosphere, or corona, will expose Parker to temperatures up to 1,370 degrees Celsius (2,500 F) – hotter than lava – while whipping through the elliptical orbit’s low point, or periapsis, at an eventual 692,000 kilometres per hour (430,000 mph). 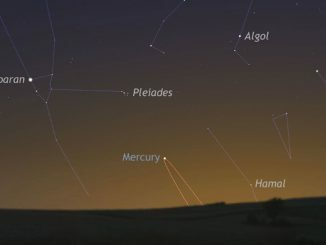 But using a state-of-the-art heat shield, the spacecraft’s instruments, flight computer and other critical systems will remain at a comfortable 30 C (85 F) while collecting an unprecedented bounty of data. No spacecraft has ever attempted to fly so close to the Sun. Even its first encounter in November, four times farther out than its eventual target, will be three times closer than any previous mission. Parker is focused on learning what heats up the corona to several million degrees while the visible surface below is hundreds of times cooler at 5,500 C (10,000 F). 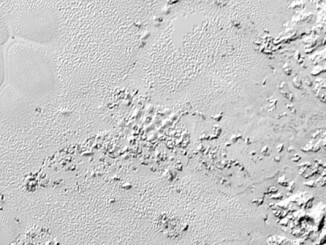 The heating could be due to complex interactions between electrically charged particles and the Sun’s powerful magnetic field or the result of countless “nanoflares” pumping heat into the outer atmosphere. Scientists also want to learn more about the mechanism that accelerates the electrically charged particles in the solar wind to supersonic velocities in the corona, possibly leading to improved space weather forecasting to help satellite operators, power companies and others prevent damage when torrents of high-energy electrons, protons and helium nuclei from particularly disruptive solar storms slam into Earth’s magnetic field. Eugene Parker, the University of Chicago astrophysicist who first theorised the existence of the solar wind in 1958, flew to Cape Canaveral to witness the launch. Now 91, Parker is the first living scientist to have a space probe named in his honour. 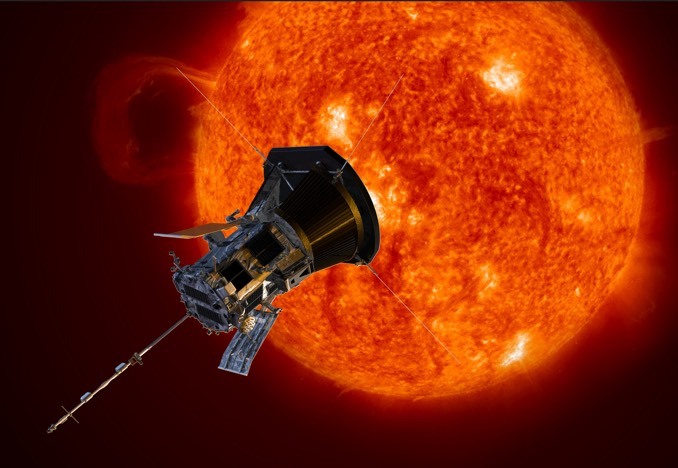 The Parker Solar Probe is equipped with four instrument suites. The FIELDS instrument will characterise the Sun’s electric and magnetic fields, measuring waves and turbulence in the atmosphere to help scientists understand how magnetic field lines can explosively snap apart and re-align. 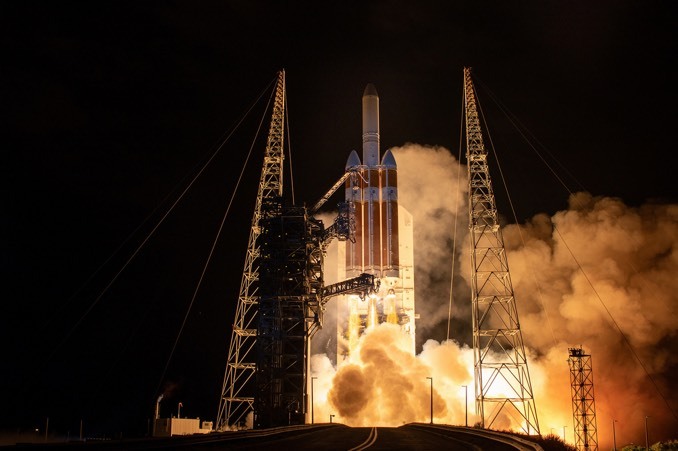 The Wide-Field Imager for Parker Solar Probe, or WISPR, will photograph the large scale structure of the corona, studying coronal mass ejections, jets and other phenomena. The Solar Wind Electrons Alphas and Protons Investigation, or SWEAP, includes two instruments designed to study the electrically-charged particles making up the solar wind, measuring their velocity, density and temperature. Finally, the Integrated Science Investigation of the Sun will use two instruments to measure particle energies to learn more about their origin and how they are accelerated to such high velocities. 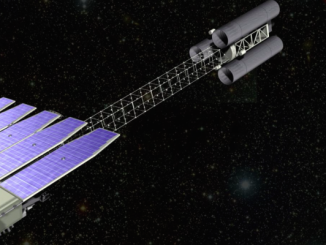 NASA has selected three finalists for a new Explorer-class astrophysics satellite mission scheduled to launch by the end of 2020, and two of the proposals aim to fulfill similar goals to an X-ray telescope shelved after cost overruns in 2012.